Calgary city council voted on Monday to continue to explore the possibility of bidding for the 2026 Winter Olympics. Calgary city council voted Monday to continue to explore the possibility of bidding for the 2026 Winter Olympics. The motion to reaffirm council's support for the investigation of a bid, which passed by a margin of 9-6, was put to council after several members expressed frustration at the way city bureaucrats had been handling the process. A related motion to create a council sub-committee that will oversee the Olympic bid discussions going forward also passed. The city has been officially looking into the possibly of making a bid for the 2026 games since 2016, when former police chief Rick Hanson was hired to head a 17-member committee and produce a feasibility study. Last June, the Calgary Bid Exploration Committee concluded a bid was feasible, and that hosting the 2026 Olympics would cost around $4.6 billion, but that it would require $2.4 billion in funding to cover the shortfall between revenue and costs. The committee told council that further exploration was needed in order to determine whether it would be prudent for Calgary to bid for the Olympics. To answer that question, council established the Calgary 2026 Olympic Bid Project Team, which has been continuing to examine the issue. Last month, council voted 8-6 to spend additional money and to take the next step — setting up a bid corporation — so long as the federal and provincial governments each contributed $10 million toward the $30-million cost. The province and Ottawa have since agreed to contribute to the bid corporation, but Premier Rachel Notley's government said the money is conditional on Calgary holding a plebiscite to gauge public support. That gave Coun. Diane Colley-Urquhart, who had been supportive of the bid exploration, a change of heart, saying she didn't feel there would be time to put the matter to a citywide vote. Coun. Jeromy Farkas also complained that the flow of information between city administrators and council has been poorly managed. Colley-Urquhart and several other councillors also objected to spending $1.9-million on a public consultation plan introduced the following week. That led to the finance committee voting to refer the question of continuing any Olympic bid exploration work to the full council on Monday. In the end, Colley-Urquhart voted to continue the bid exploration work, saying during Monday's debate that she believes more strongly than ever that the public must be consulted through a plebiscite. The councillors who voted against continuing to explore a bid were: Sean Chu, Peter Demong, Jeromy Farkas, Druh Farrell, Jyoti Gondek and Joe Magliocca. During the debate, Farkas read from a list of incidents of alleged corruption by IOC members, compiled by the Canadian Taxpayers Federation, and suggested Calgary should be wary of trusting the organization. He also argued Calgary's bid exploration process has been too hurried and too much led from the top by politicians and bureaucrats. "I can't support rushing into this on the IOC's timeline," he said, echoing a suggestion from Gondek that Calgary instead vie for the 2030 Winter Games. Farrell also suggested the IOC is not trustworthy and held firm to her opposition to a bid. "Calgary has a habit of going after those big unicorns," she said. Mayor Naheed Nenshi, who voted to continue the bid exploration process, said he was somewhat perturbed by the suggestion that the process has been fundamentally flawed. He said that while it hasn't been perfect, it has been highly transparent and innovative. "Every decision has come to council for a temperature check," he said. "I am very proud of this process." Edmonton Mayor Don Iveson called the vote "an interesting result," and said officials there will "wait and see" whether Calgary's decision to keep moving forward has implications for the capital city and if they might get involved in a potential bid. "There have been conversations on and off about whether it might a two-city or a regional approach to things," he told reporters. "We've never been approached with anything formal on that, so it will be interesting to see as they advance their bid whether they want to engage with us or not." With the looming prospect of council voting to kill the bid exploration work, a group of current and former Olympians gathered Friday at WinSport, a 1988 legacy facility, to urge councillors to keep moving forward. If Calgary eventually decides to make a bid for the 2026 games, it would be the only North American city in the running. Denver and Salt Lake City, which were both eyeing 2026, are now setting their sights on 2030 instead. A poll released last week found that a slight majority of Calgarians want the city to bid on the 2026 Winter Olympics. According to the poll, commissioned by Ski Jumping Canada and conducted by Janet Brown Opinion Research, 55 per cent of respondents support moving ahead on a bid. 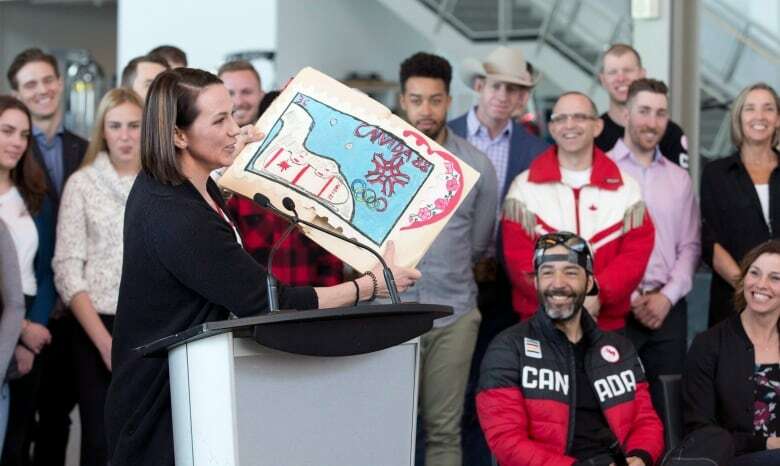 Members of the International Olympic Committee (IOC) visited Calgary in January and signaled to the bid project team that many of the city's legacy facilities from the 1988 Olympics would still be suitable as venues. 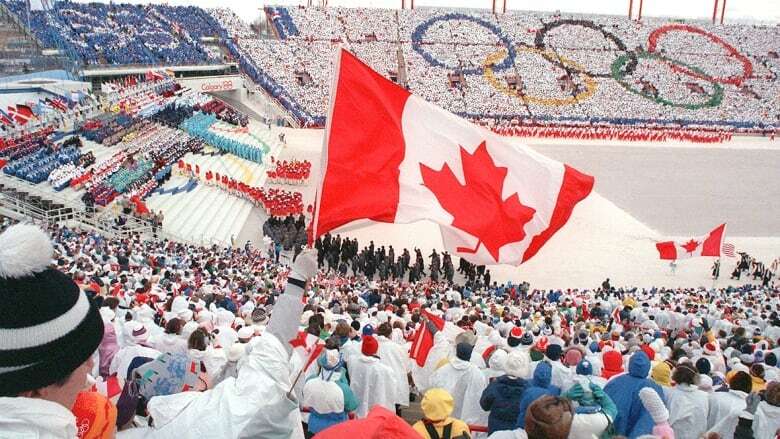 The Canadian Olympic Committee (COC) is set to decide in October whether to endorse a bid from Calgary. The IOC's deadline to receive a formal bid is also that month. A decision on a host city will be made by the IOC in September 2019.